If asked if you’ve ever tasted a truffle, you might automatically think chocolate. Steer toward truffle oil and you’d be warmer, yet most commercial truffle oils aren’t made from the real thing. The pungent, earthy, garlicky fungal variety, which is insanely expensive (fetching hundreds, even thousands of dollars per pound), is considered culinary gold, and it’s making an appearance on chefs’ tables in Asheville in February. The Asheville Truffle Experience, happening across multiple venues February 23-25, is a chance for foodies to grab a seat at the table to taste and learn. Guests will become familiar with the black Périgord variety and its culinary applications through presentations and dinners. On Friday, participants will be treated to truffled bites from Chef William Dissen at The Market Place. Saturday brings a morning presentation about the prized fungus, an afternoon culinary demo and tasting at Cucina 24 with Chef Brian Canipelli, and a Truffle Extravaganza wine dinner at Isa’s French Bistro prepared by Chef Duane Fernandes. And on Sunday morning, attendees head to the truffle orchard at Waynesville’s Mountain Research Center, where a dog hunting demo will show how truffles are sniffed out. Why host the event in Asheville? 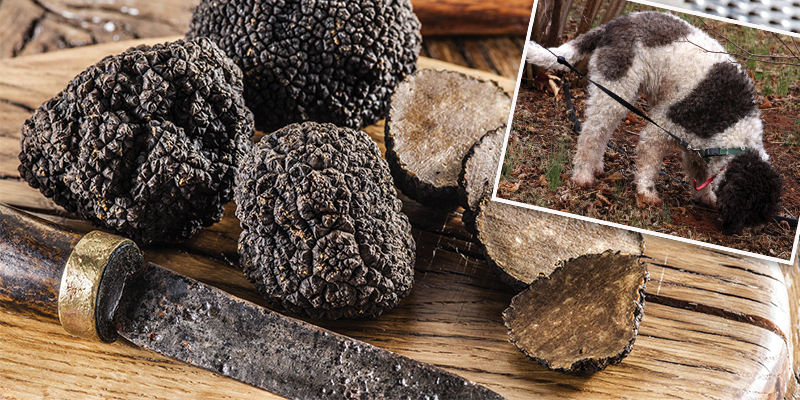 Ever since Franklin Garland began successfully cultivating the rare delicacies in the area in the 1980s, the region’s nutrient-heavy soil has proven ideal for truffle production, and his efforts led the way for truffles to be more widely available stateside for the first time. “The truffle takes an ordinary dish and makes it extraordinary,” says event organizer Susi Gott Séguret. And like the edible tubers themselves, the weekend is a rare opportunity to taste the extraordinary.